At Jamaica Sandal Co. Shipping is kept at a minimal cost. All our custom orders are shipped from Jamaica and therefore arrive within three to four weeks depending on postal service. Jamaica Pegasus Hotel Gift Shop 81 Knutsford Blvd. Returns are accepted within 15 days of original mail date to buyer. 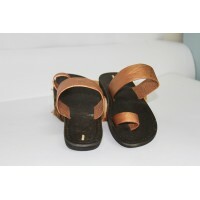 Sandals must be returned in original condition. Absolutely no markings. Buyer to pay return shipping. Returns are exchange only.